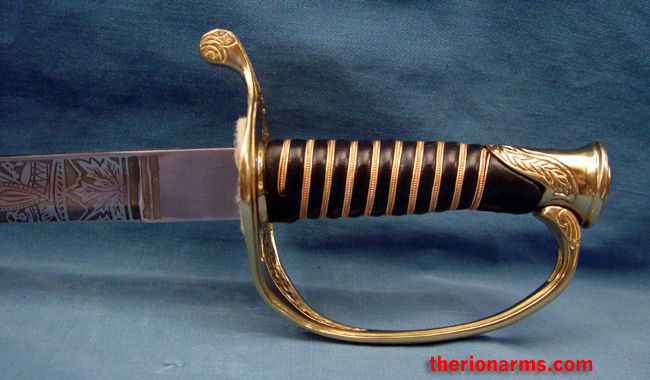 This sword, a slightly less fancy version of the U.S. M1850 staff & field officer's sword, was supplied to all Army foot officers with the rank Major and below from 1851 to 1865. 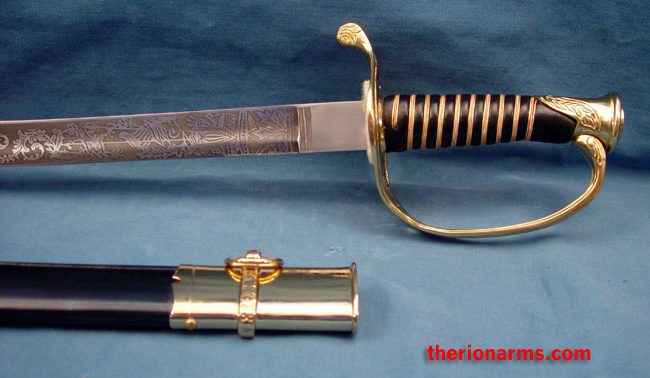 The tempered high carbon steel blade is etched with the letters "US", a floral pattern, branches and scrolls. 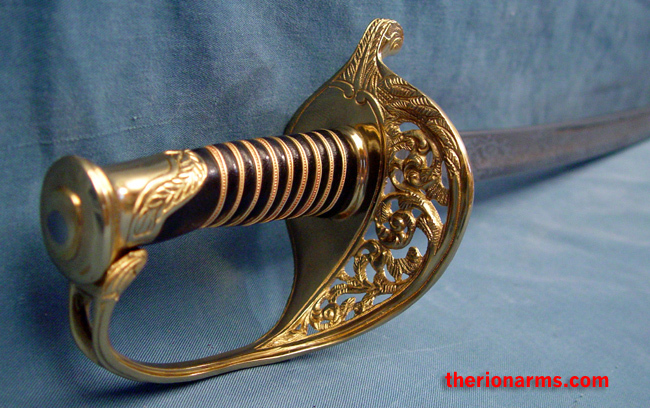 The solid brass guard and hilt also display a floral design. 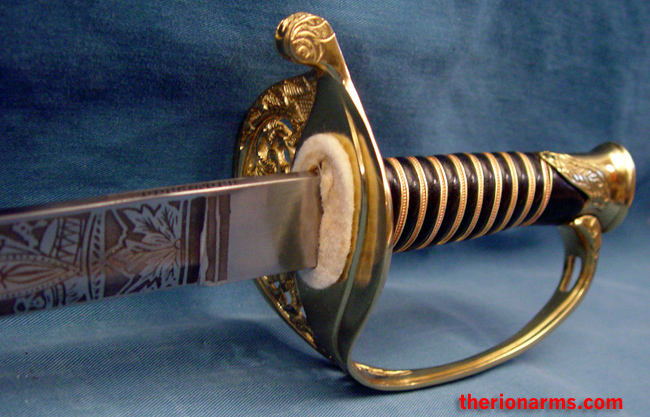 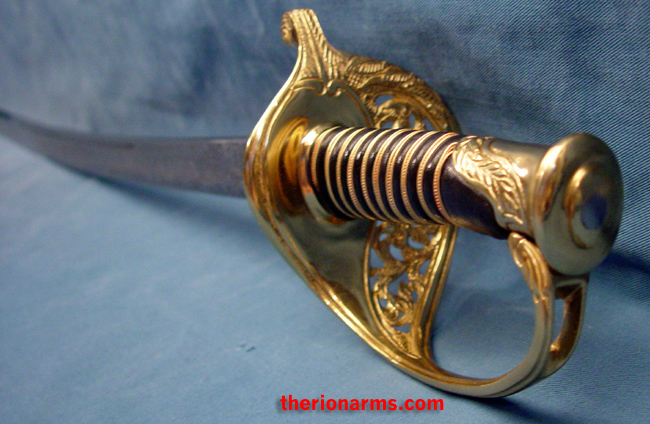 The blade on this high quality replica has passed the British Proof Test (stress tortures to test flexibility and durability), and is sure to be a favorite of Civil War reenactors. 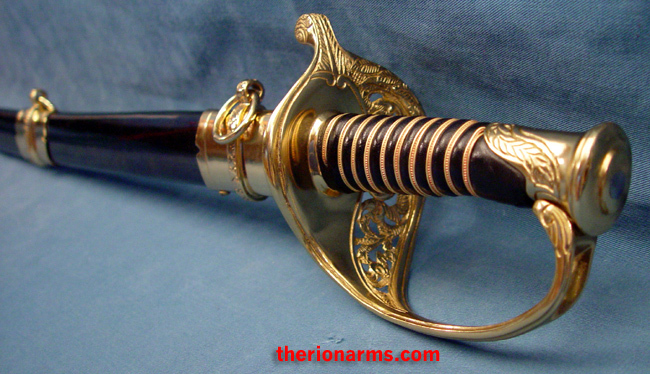 Comes with a blackened metal scabbard with accurate brass mounts.